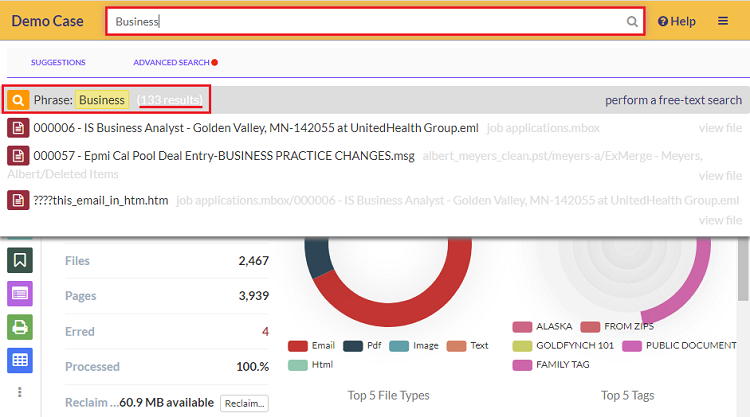 Find all documents and emails matching your keyword - within a second! GoldFynch provides “dropdown” search suggestions as you type in the search bar. Once a search has been performed, you can quickly navigate between the search results using the Next Document and Previous Document buttons. Type a keyword into the GoldFynch search bar, which can be found at the top of any page of the GoldFynch app. The number of results, the time taken for the search, and the search query. In the above example, the keyword “Business” made 95 matches in 0.146 seconds. Regardless of the size of the case, GoldFynch usually completes searches in less than a second! The Previous Document and Next Document buttons provide the ability to quickly move between documents within a set of search results. This is very useful for when you are taking notes or doing a quick review. 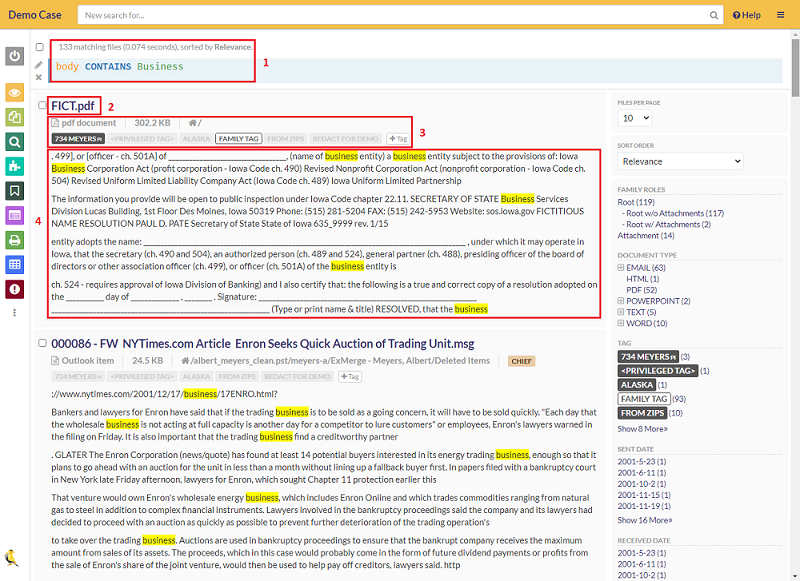 In the example above, the file is the first search result, so there is only a Next Document option.